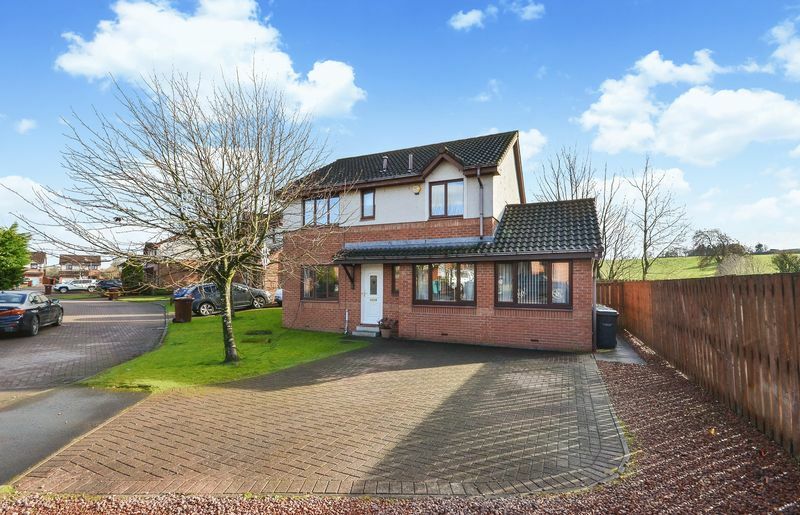 Kelvin Valley Properties present to market this attractive 4 bedroom detached villa in the sought after Craigend View cul-de-sac in Condorrat. 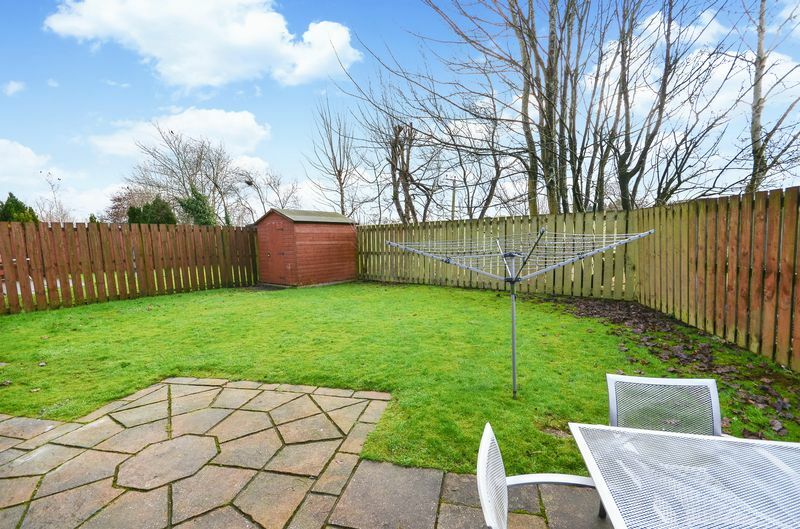 Situated on a large corner plot with extensive driveway and well proportioned gardens, this property benefits from having views across open countryside to the rear, as well as the professional conversion of a double garage to create a huge family room. 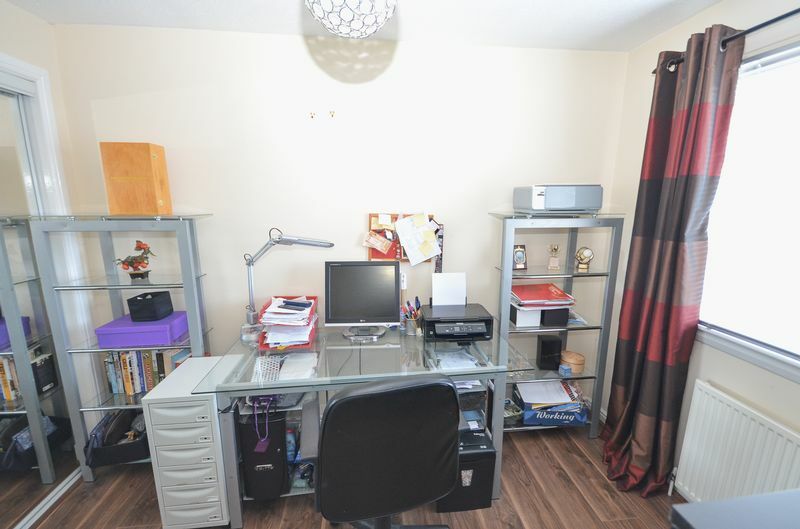 Internally the property boasts an attractive lounge, modern kitchen with open plan dining room, separate utility, a large family room and a downstairs cloaks on the lower level. 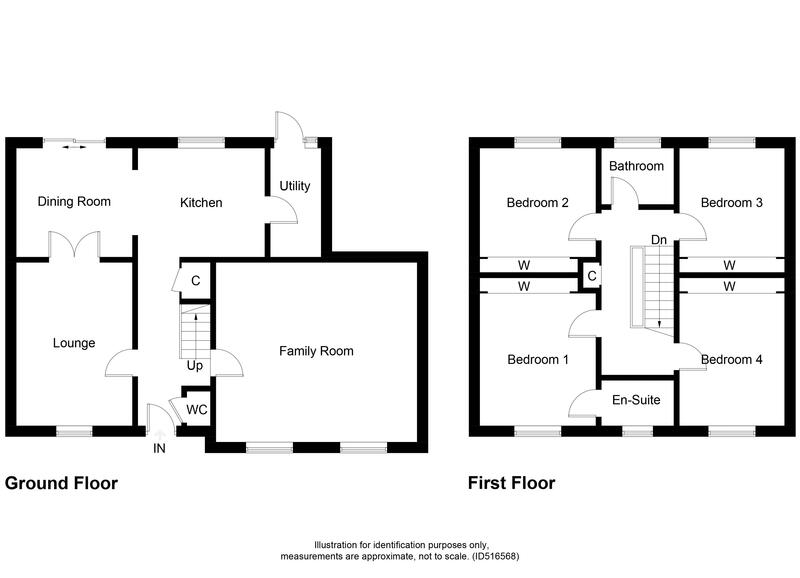 Upstairs there are four double bedrooms (master is en-suite), and a family bathroom. Large driveway & private gardens outside. The full property schedule and home report can be obtained through our website. 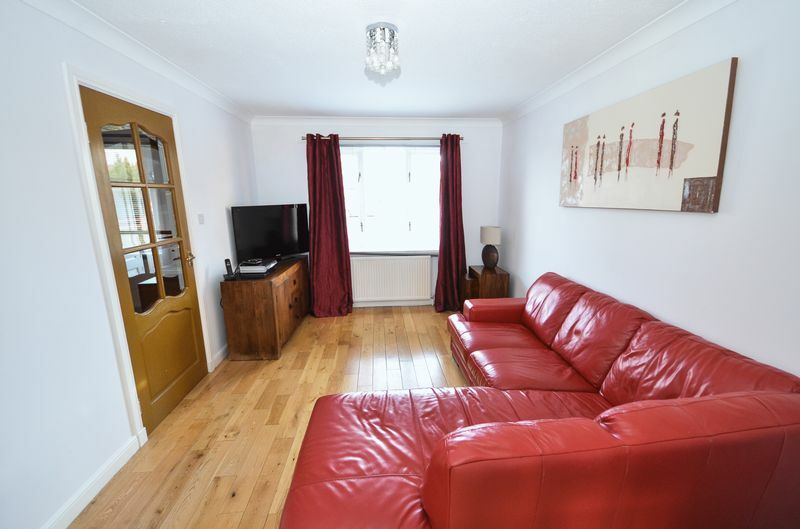 Spacious lounge with triple window to the front allowing plenty of natural light into the room. The room benefits from having real wood flooring and contemporary décor, as well as plenty of space for furniture. Double doors provide access into the adjacent dining room. Modern fitted high gloss kitchen with high and low level storage units and two worksurfaces, one with integral sink and the other with integral hob. 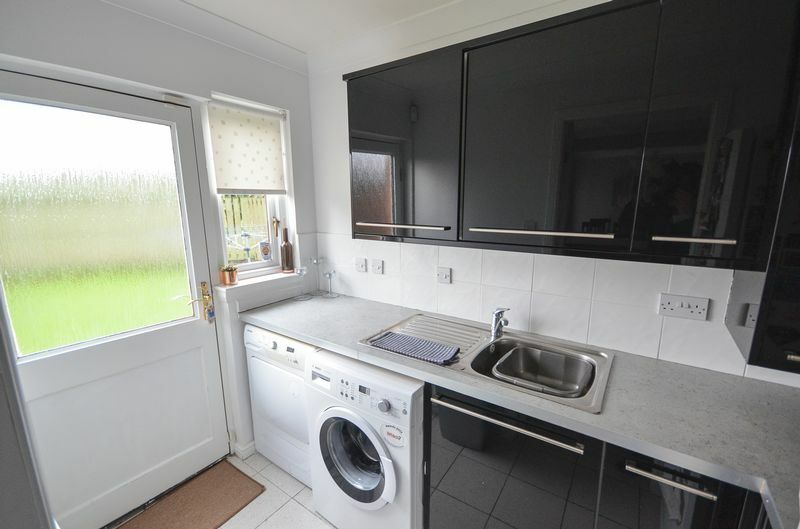 There is also an integrated oven and dishwasher. Spotlights provide downlighting. Open plan access to the dininy room from here. Tiled. 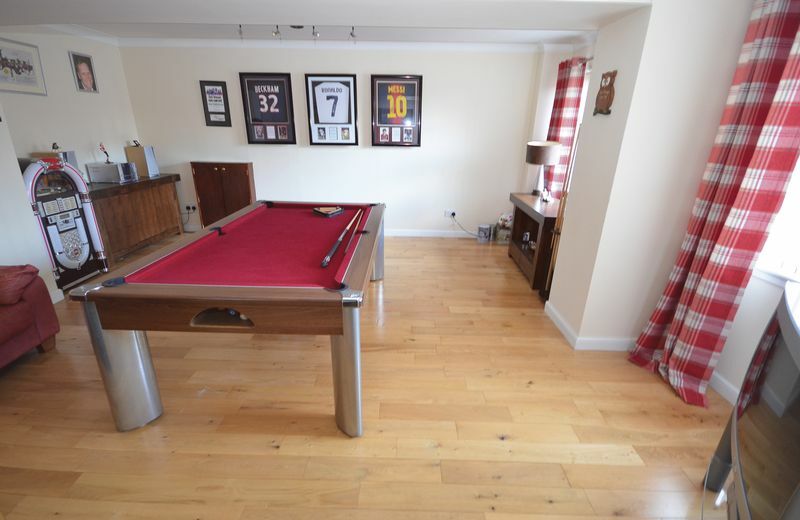 Huge family room, professionally converted from the double garage. Benefits from having two large windows allowing plenty of natural light into the space. With ample room for furniture, this large space could meet a variety of uses and even subdivided into more rooms if required. 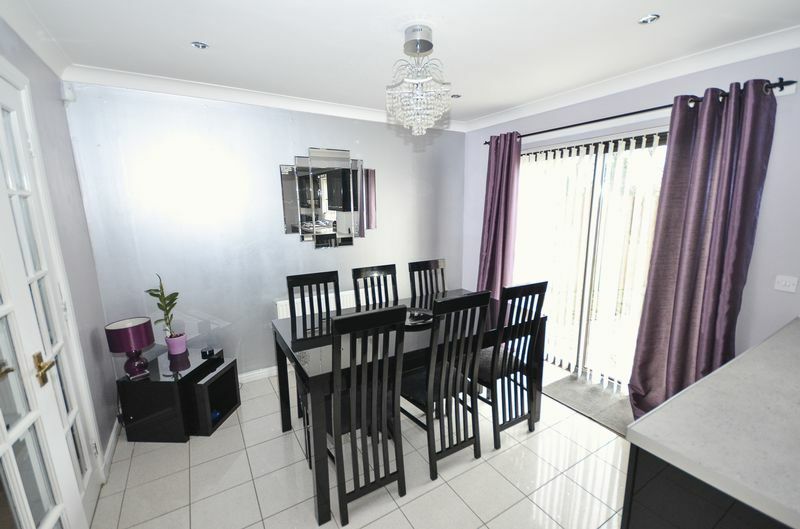 Open plan from the kitchen with patio doors opening out into the rear garden. Tiled floor. Modern décor. Attractive master bedroom with fitted wardrobes providing excellent storage. 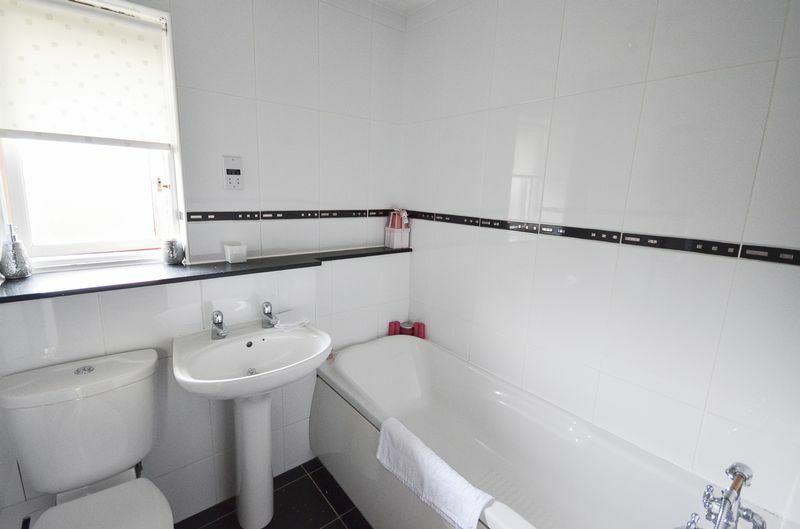 En-suite with shower, wash hand basin and W.C. 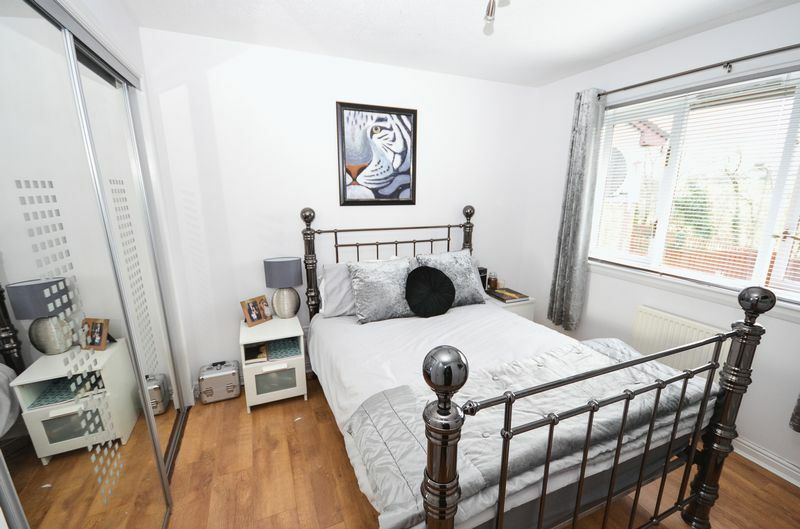 Bedroom 2 is a double bedroom offering excellent views to the rear. Fitted wardrobes. Laminate flooring. Double bedroom to the rear with laminate flooring and fitted wardrobes. 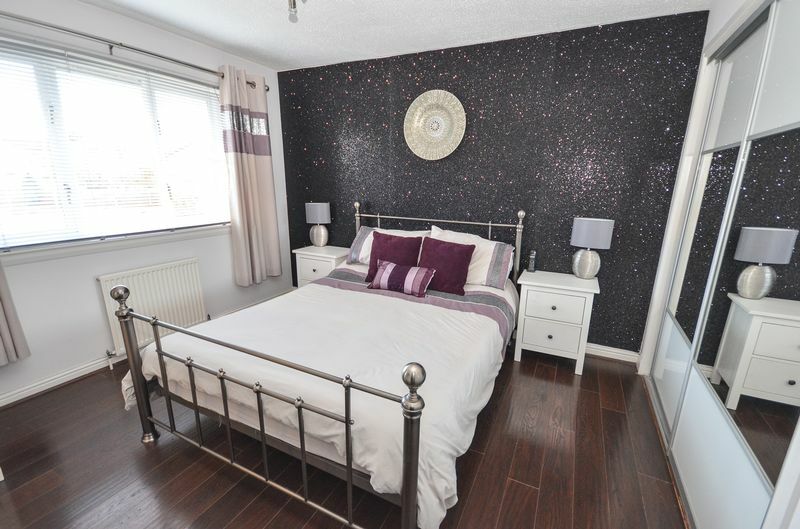 Double bedroom to the front with fitted wardrobes and laminate flooring. Currently used as a home office. On the lower level with W.C. & sink. Fitted bathroom with bath, wash hand basin and W.C. Fully tiled. Textured glass window allowing natural light into the room. Extensive monobloc driveway with room for several vehicles. Private front, side and rear gardens. 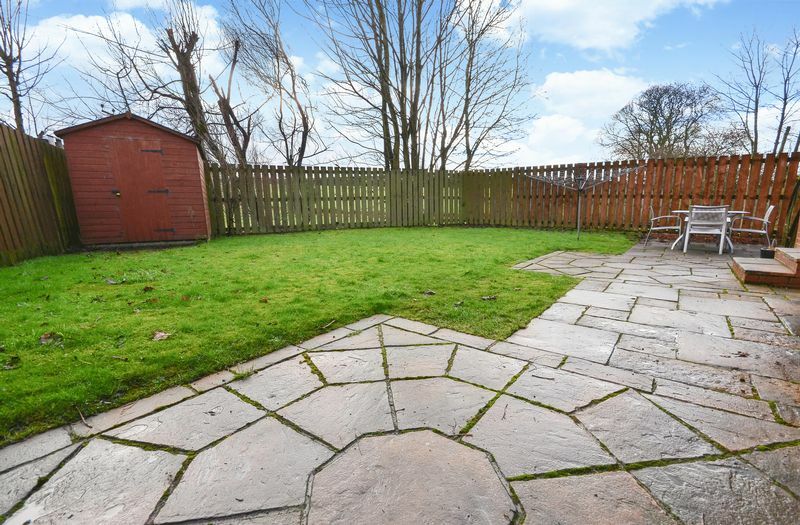 The rear garden backs onto open countryside and contains an extensive patio area, lawn area and a shed (included). Fitted units with worksurface and integral sink. Back door to gardens. Attractive and seldom available detached villa in a sought after cul-de-sac in Condorrat. 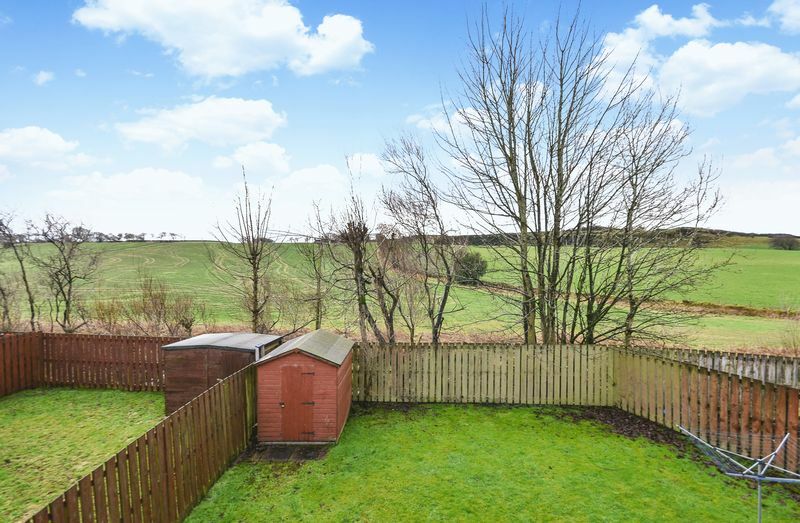 Benefits from having superb views across open countryside to the rear. 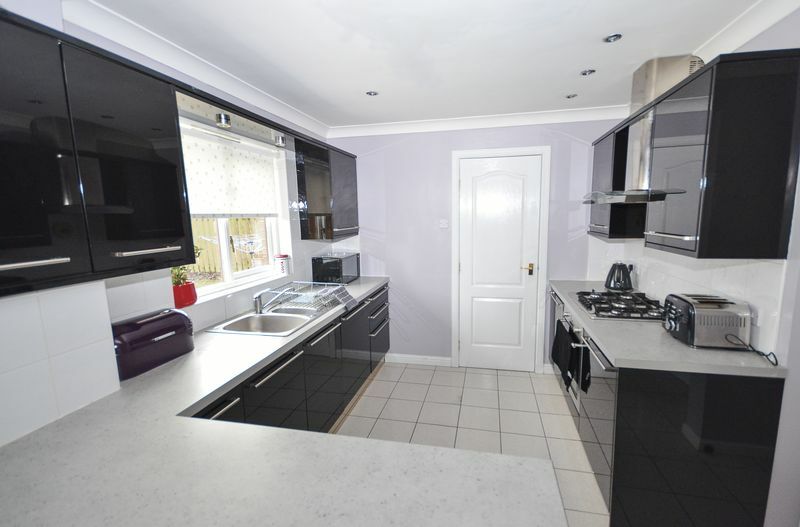 Also has a professional garage conversion to create a huge family living room. Early viewing of this excellent family home is advised to avoid disappointment. Cumbernauld offers good shopping and recreational facilities including restaurants, bars, libraries, 24 hour supermarkets, country clubs, golf clubs, Broadwood Stadium & Loch, Palacerigg Country Park, Cumbernauld College, primary and secondary schools, as well as, local health and leisure facilities. Bus and rail services provide easy access to major cities with excellent motorway links on the doorstep.